Chemical equivalent is a particle of matter that takes (gives) one of the hydrogen-ion or hydroxyl ion, takes (gives) one electron in redox reactions and react with one hydrogen atom or one equivalent of another substance. A number that indicates which part of the molecules of a substance corresponds to its equivalent is called the factor of equivalence, which can be either equal to one or less. In the first case, for each molecule of alkali that reacts, one molecule of the acid. Therefore, the factor of equivalence of sodium hydroxide equal to 1, and the factor of equivalence of acid and equal to 1. In the second case, one molecule of acid reacts with two molecules of alkali. That is, one molecule of sodium hydroxide has a 1/2 molecule of the acid. Therefore, the factor of equivalence of alkali is still equal to 1, and the factor of equivalence of the acid is now equal to 1/2. Accordingly, in the third case, the factor of equivalence of sodium hydroxide is 1 and the acid - 1/3, since one molecule of alkali there are three molecules of acid. 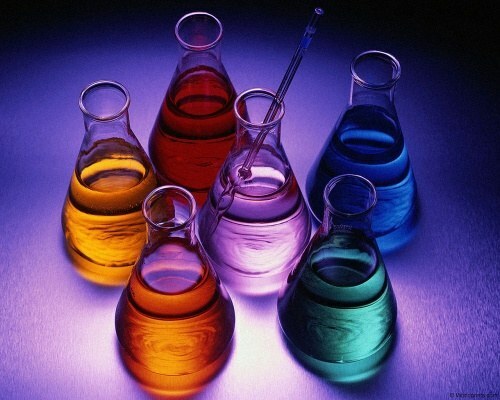 For different classes of chemical compounds exist appropriate formula for the calculation of the factor of equivalence. For example, for an item, it is calculated as: 1/V, where V – valence of the element in a particular compound. For example, the main oxide of chromium – Cr2O3. In this compound chromium has a valence equal to 3. Hence its Fe (factor equivalence) is equal to 1/3. But if you consider potassium bichromate (potassium dichromate) with the formula K2Cr2O7, there is the valence of chromium is 6, hence its PV will be 1/6. If we are talking about a simple substance, that is, such whose molecules consist of atoms of only one element, the factor of equivalence calculated by the formula 1/ВхN, where the valence of the element, and N is the number of atoms in the molecule. It is easy to see that, for example, oxygen and ozone, though their composition is only one element will have a different PV. Oxygen having the formula O2 molecule, it will be equal to 1/4, and ozone with the formula O3, respectively, 1/6.